Age 40, of Portsmouth, passed away Tuesday, April 16, 2019 at his home. He was born September 3, 1978 in Portsmouth to Benny and Deborah (McGuire) King. 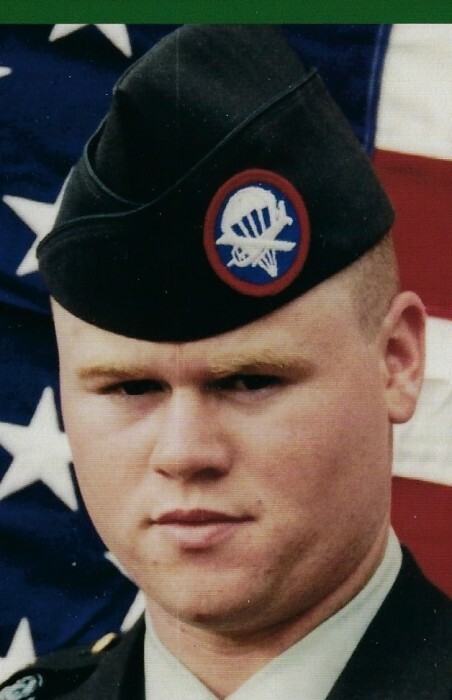 Benny was a 1996 graduate of Northwest High School and served his country in the U.S. Army from 1997 – 2000. He worked professionally as a carpet and tile layer in the construction industry. Benny has been welcomed into a better place and is now in the loving arms of Christ. He is survived by his father, Benny (Robbie Sue) King of Lucasville; wife, Barbie King of Jackson; sons, Reisig King of Columbus and Austin King of Jackson; sister, Kristy L. King of Lucasville; brothers, Robert Cramblet of Portsmouth, Jonathan Bowling of Portsmouth; very special friend, Stephanie Lewis and her two sons, Hayden and Hunter. He was preceded in death by his mother, Deborah (McGuire) Bowling. Funeral services for Benny will be 6:00 p.m. Friday, April 19, 2019 at WOLFE-NELSON FUNERAL HOME in Sciotoville with Pastor Ralph Shafer officiating. Friends may call one hour prior to the service. Fond memories of Benny and expressions of condolence may be shared at www.WolfeNelsonFuneralHome.com.